We exist for a single reason; We will create modern homes that make life more enjoyable and easier to live. We do this in a serious way that takes responsibility for a sustainable future. We will change the way we build and live in our houses. Buildings and housing account for 40% of the world’s energy use. This makes housing the single largest environmental impact factor. It’s about how we build our housing. But as much as we live in them. Today, our lifestyle in Sweden generates a consumption of 10 tons of carbon dioxide per person per year. 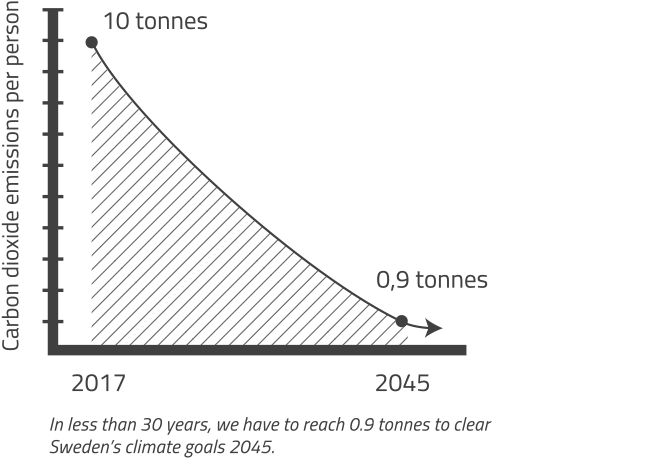 In less than 30 years, we must reach 0.9 tons, if we should reach Sweden’s climate target 2045. The challenge is necessary, but not impossible. But it requires that the construction industry takes a larger responsibility and drive change. Buildings need to be more energy efficient, renewable energy source, and chemical -free building materials and furnishings. In addition, the house design plan must have the possibilities for a sustainable lifestyle, with solutions like electric car sharing, gardening plots and increased social areas. This is a development that is both natural and obvious. And by adding value, the accommodation will mean an increased quality of life. Therefore, we want our homes to have features that make life easier, provide more time and increased social co-existence. Our environmental commitment is whole hearted. Founder Carlos Andersson, former Managing Director at Passivhus Center Västra Götaland, Sweden’s Institute for Energy-efficient Building, is a leading authority in the transition for a more sustainable living and is working hard for change. And by combining a sustainable living with a more enjoyable lifestyle, change will be as obvious as well as natural. The company has its base on the West Coast, but will create housing concept in several different locations around Sweden. In a few years, Jemmett will launch its concept internationally and start building sustainable smart homes in the US. In less than 30 years we must reach 0.9 tons carbon dioxide emissions per person, per year in Sweden if we are to meet Sweden’s Climate Law 2045.